Alfreda J. “Freda” Rhoads, 78 years of the Sinking Spring Community, passed away Thursday, August 30, 2018. Freda was one of seven daughters born to the late Donald and Helen (Jones) Harry on October 16, 1939 in Tollesboro, Kentucky. Beside her parents, Freda was preceded in death by five of her sisters, Doris Miller, Nancy Shepherd, Shirley Cluxton, Alice Purdin and Janice Bennington. 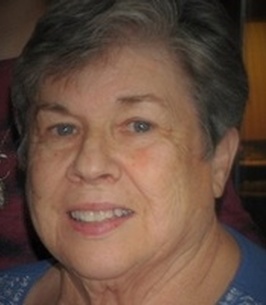 Freda is survived by her husband Wilbur D. Rhoads; one son and daughter-in-law, Mark and Mona Rhoads of Wilmington, OH. ; one daughter and son-in-law, Debra and David Ditmer of Springboro, OH. ; five grandchildren, Kristin (Tyler) Wittenmyer, Kyle Rhoads, Mariah Rhoads, Nicholas Ditmer and Conner Ditmer; one sister, Rae Meece of Brookville, OH. ; several nieces, nephews and a host of friends. To send flowers to the family of Alfreda J. "Freda" Rhoads, please visit our Heartfelt Sympathies Store. We encourage you to share any memorable photos or stories about Alfreda. All tributes placed on and purchased through this memorial website will remain on in perpetuity for future generations. Met her while visiting with mother at the Laurels . Enjoyed the visit with her and Wilbur. Prayers for the family. So sorry to hear of Freda's passing. We met her and Wilbur when she was a patient at the Laurels, while we were visiting my mother. Always enjoyed talking to them. Found out we had mutual aquaintances. She was a sweet lady. Thoughts and prayers to the family. Wilber and family.. So sorry to hear of Freda's passing. Keeping you and your family in my prayers.